No one can match Eli Saslow’s skill at telling the most improbable, humane, and riveting tales of our time. One of America’s premier narrative-driven journalists. No matter his subject, he writes in a way that makes a reader feel they are witnessing everyday life in the context of something greater happening in our society. The story of Derek Black is the human being at his gutsy, self-reflecting, revolutionary best, told by one of America’s best storytellers at his very best. Rising Out of Hatred proclaims if the successor to the white nationalist movement can forsake his ideological upbringing, can rebirth himself in antiracism, then we can too no matter the personal cost. This book is an inspiration. One of Eli Saslow’s signature gifts as a storyteller is his extraordinary knack for simply being there as people navigate some of life’s most harrowing crucibles—opioid addiction, grinding poverty and early death, to name a few of the issues his deeply reported narratives for The Washington Post have explored. Saslow humanizes big issues by embedding himself in characters’ lives, which allows him opportunity to observe the kinds of details that make for deeply personal, and moving, stories. His work always feels like it’s about the work, nothing more… He is building an impressive body of work with calm, fluid authenticity. 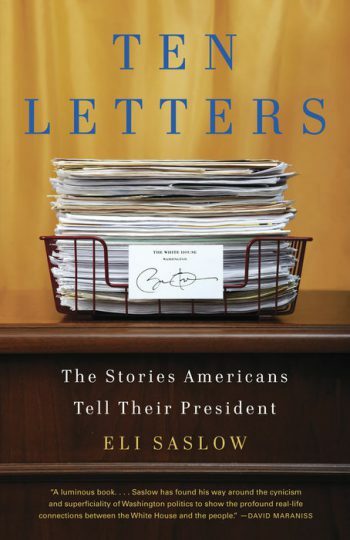 Eli Saslow, one of the great young journalists in America, has found his way around the cynicism and superficiality of Washington politics to show the profound real-life connections between the White House and the people. Saslow has a feel for the tender spots and a former sportswriter’s good sense to keep things moving along. [Ten Letters is a] testament to the power of the written word…the country’s most vexing challenges, from immigration to education, healthcare to housing, are seen through the eyes of both persons directly affected by them and one person uniquely positioned to do something about them. 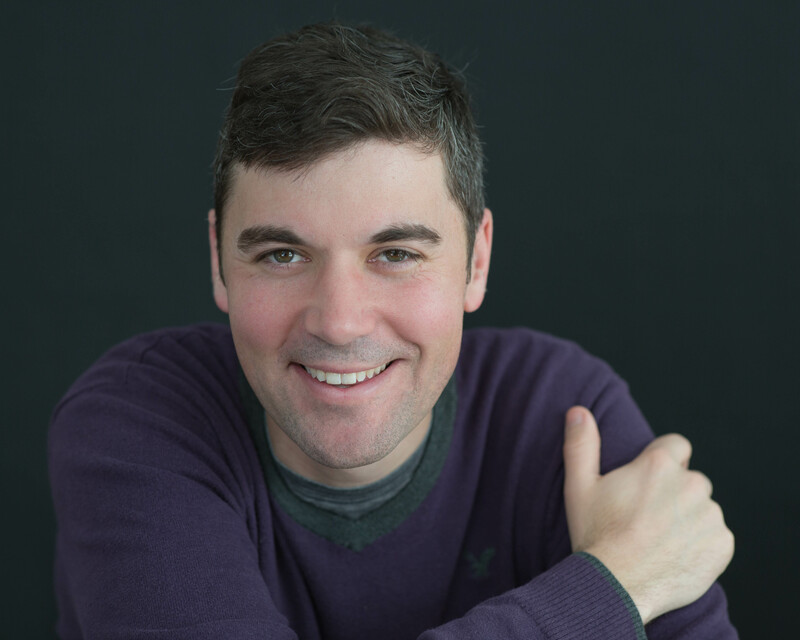 In his Pulitzer Prize-winning coverage for The Washington Post, Eli Saslow, who has been called “one of the great young journalists in America,” reveals the human stories behind the most divisive issues of our time. From racism and poverty to addiction and school shootings, Saslow’s work uncovers the manifold impacts of major national issues on individuals and families. 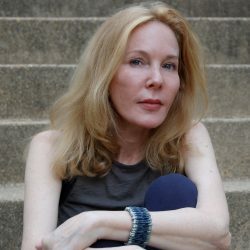 Saslow won the 2014 Pulitzer Prize in Explanatory Reporting for a yearlong series of stories about food stamps and hunger in the United States. 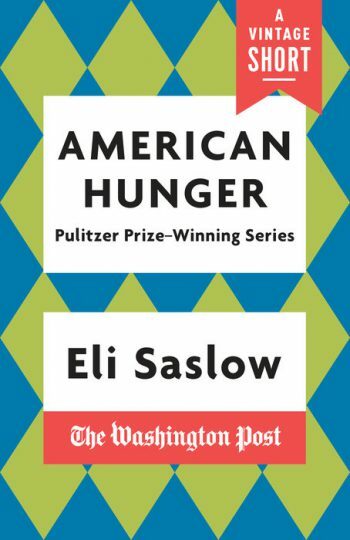 Collected into the book American Hunger, his stories were praised as “unsettling and nuanced…forcing readers to grapple with issues of poverty and dependency.” Saslow was also a three-time finalist for the Pulitzer Prize in Feature Writing. “The Lonely Quiet,” Saslow’s intimate, devastating portrait of parents whose first-grader was murdered at Sandy Hook in 2012, explores both staggering loss and the determination to wrest something meaningful from that loss. In 2016’s “What Kind of Childhood Is That?”, he profiled three children orphaned by America’s opioid epidemic. And in his feature “The White Flight of Derek Black,” Saslow told millions of Americans a story we need to hear: how the one-time heir to America’s white nationalist movement came to question the ideology he helped spread. Derek Black might be termed white nationalist royalty. His father, Don Black, launched Stormfront, the first major white supremacist website; his mother was once married to former KKK Grand Wizard David Duke, who was Derek’s godfather and mentor from birth. 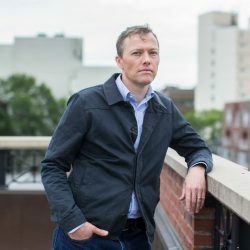 Derek was an elected politician at 19, with his own daily radio show on which he urged white nationalists to “infiltrate” the American political system to prevent what he termed “white genocide.” But when Derek chose to attend a tiny liberal arts college, his ideological foundations began to crack. 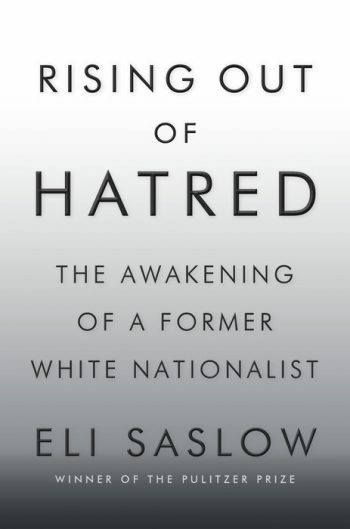 Saslow’s book Rising Out of Hatred charts the rise of white nationalism through the experiences of one person who abandoned everything he was taught to believe. By 2016, white nationalism had become a glaring presence in the political mainstream, and Derek was ready to confront the damage he had done. Built on extensive, wide-ranging interviews with Derek, his father Don Black, and many other people, Rising Out of Hatred traces Derek’s painful but ultimately profound evolution, and explores the enormous ramifications of his decision to publicly denounce white nationalism in an open letter to the Southern Poverty Law Center in 2013. 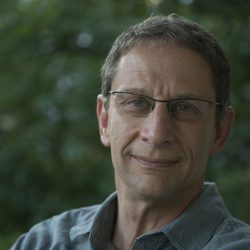 Saslow is a longtime staff writer for The Washington Post, where he was initially a sportswriter. He covered the 2008 presidential campaign as well as President Obama’s life in the White House. 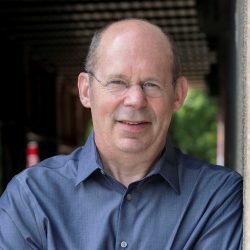 Four of his stories have been anthologized in Best American Sportswriting, and he is an occasional contributor to ESPN The Magazine. 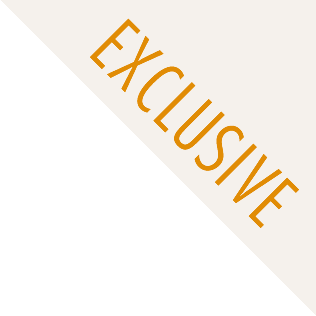 In 2011, Saslow cofounded Press Pass Mentors, a writing-focused nonprofit for underrepresented high school students in the Washington, DC area. The program pairs each student with a professional journalist in a one-on-one mentorship, offering students behind-the-scenes trips to places normally only accessible with a press pass, from the White House and the Kennedy Center to an NBA locker room. Mentors guide students through a curriculum that includes preparing for the SAT, applying to college, and writing scholarship essays. Saslow speaks on the role of journalism in highlighting social and public health issues, the craft of longform journalism, the human impacts of public policy, and the importance of civility and radical inclusion. He was the T. Anthony Pollner Distinguished Professor of Journalism at the University of Montana, and he has spoken at Princeton, Syracuse University, UNC Wilmington, UVA, Northwestern, USC, and elsewhere. A graduate of Syracuse University, Saslow is the winner of a George Polk Award, a PEN Literary Award, a James Beard Award, and other honors. He lives in Portland, Oregon, with his wife and children. I couldn’t put this book down. This is essential reading for our political moment. Eli Saslow is among the best nonfiction writers working today, and here he writes about a gifted young man trained to be a champion of hate who then encounters love, and hope, in the world he hated. This is a story about the long struggle of America’s racist history told through the battle over a single American soul. Unsettling and nuanced reporting on the prevalence of food stamps in post-recession America, forcing readers to grapple with issues of poverty and dependency. In this testament to the power of the written word, the country’s most vexing challenges, from immigration to education, healthcare to housing, are seen through the eyes of both persons directly affected by them and one person uniquely positioned to do something about them.